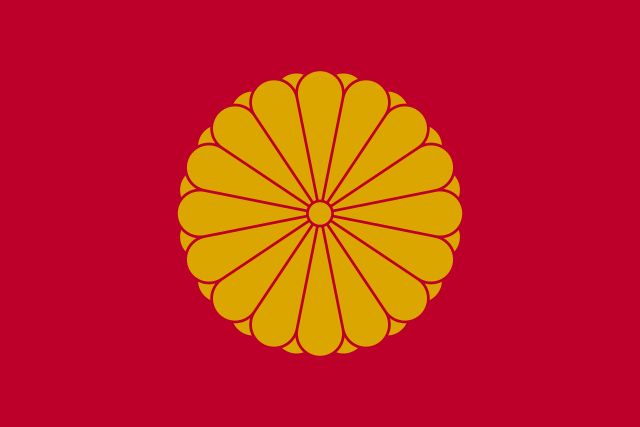 English: Imperial Standard of the Emperor of Japan. العربية: علم إمبراطور اليابان التقليدية. 来源 皇室儀制令 (in Japanese). Archived from the original on 1 May 2009. This vector image includes elements that have been taken or adapted from this: Imperial Seal of Japan.svg (通过 Philip Nilsson). 当前 2016年3月25日 (五) 01:01 1,800 × 1,200（839字节） Fry1989 Original is incorrect.